So, I have been busy with this project! I am collaborating with Japacolle, who brings Liz Lisa to Indonesia with cheaper price than Japan! I really want to support them because I want a lot of people to have access to buy Liz Lisa clothes! Today they have uploaded some of the clothes collection, and the stocks are limited so hurry up!! They try to give the best price for Indonesian! So this batch is just for market test. If the response is good, they will bring more cute items!! 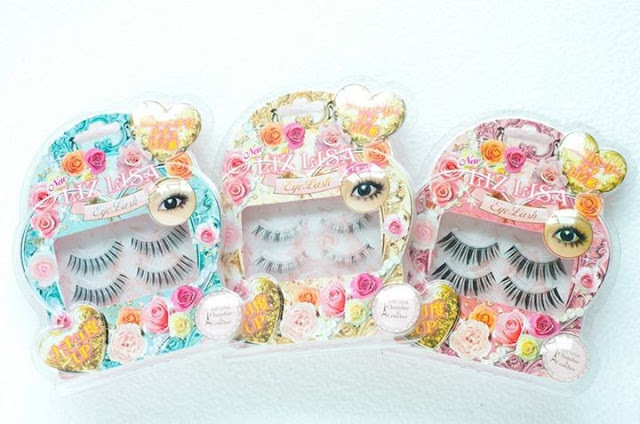 They also have Liz Lisa False Eyelashes for Rp 150.000 per box! Original price in Japan is 1260yen!! Price is too fair to be true! You might visit JAPACOLLE now and pick which product you want. And stay tuned there, since they'll upload a lot of cute items too such as their sandals, bags, bento box, and such!! Oh my god!! Thank you for bringing Liz Lisa to Indo!!! You are the best!! it's all M Size or All Size. So I think it will fit you!! I love the thirth outfit is really cute. Im coming at the house to go shopping in saturday. And iwant to buy some acssecories. But i dont know what the shopping place on indonesian but iloved.